Copper is a ductive soft metal found in ore state and in metallic form in nature. Copper was the first metal ever discovered and used by human beings. Copper conducts heat and electricity extremely well. Copper is highly resistant to corrosion and decay. 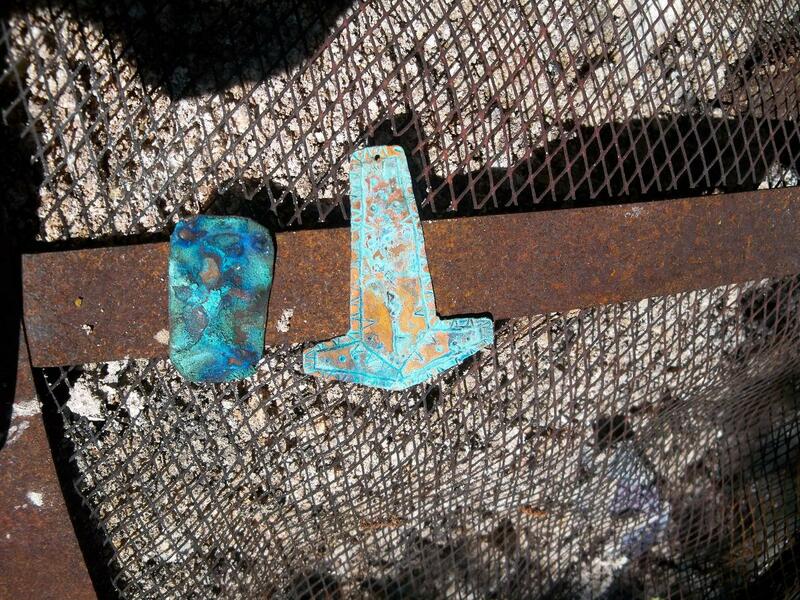 Some copper axes and swords have been found in usable condition. Copper can be toxic if used as cookware or utensils everyday but is harmless as jewelry. 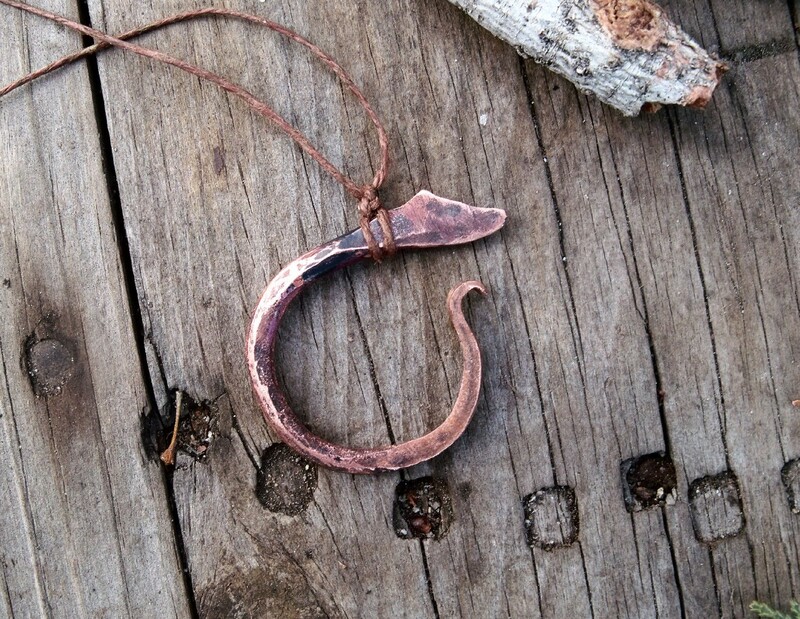 Copper jewelry naturally removes excess electrical energy from your body. Vinegar and Salt Patina on Copper. 1. Use one ziplock bag and put a small amount of vinegar and salt in the bag and stir. 2. Coat copper piece in solution and sit in the bag away from the main amount of liquid. 3. Leave item for 3-24 hours. 4. Remove and allow to dry fully. 5. Try not to smudge the newly created green patina. Spray seal with 3 coats of a clear coat metal spray sealer. 6. After the piece has dried fully make sure to check that the green will not easily rub off on your skin or clothing. Thanks for checking out my metal smithing blog. I hope this helps with your copper projects. This entry was posted on June 14, 2011 by .. It was filed under Knife making-Blacksmithing and was tagged with copper alloy, copper jewelry, copper patina, copper smelting, copper smithing, copper work, making copper items.